Is this definitely on the Paynes balcony in PDL? Who is the guy with the glasses? Not sure if this is the right topic to post new found pictures but, I recently found new photos... In the back of the last photo, its Madeleine, Gerry, I am unsure who the girl in front is. Sadly it has a watermark on it btw. Thank you for your contribution xsherrie. These photographs have been uploaded on the forum in the past. 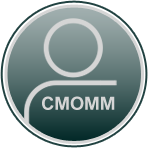 The provenance is questionable now as it was then, so is the reason why they were brought to CMOMM in the first place, without narrative. I'm a bit confused with the photograph showing Madeleine and the twins. Where did those Pair of hands come from around Amelie ? Are my eyes deceiving me? 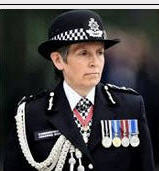 Hope you don't mind kaz, I've moved your post here from the Professional Blog forum, in case members wish to discuss generally. I think this might answer your question.. Thank you for that Verdi. Sometimes I think I'm trying too hard and failing miserably. Last photo question - easily verified? If there really is a question mark over the day/time the photo was taken, why not simply contact other people who were there at the time and compare the photos they took? With similar time stamps, wouldn't they at least confirm the shadows, sun angle, cloud cover and maybe even indicate wind speed? Have I missed the point or wouldn't this be an obvious method instead of trying to analyse a single photo? If we had a list of holiday makers and their contact details, independent of the McCanns and their friends, who were in PDL at the time, that may be possible if they were willing to provide their photographs. What other people did you have in mind? The groups holiday snaps for the entire week would be a good thing but there is no chance of getting these. @sharonl wrote: If we had a list of holiday makers and their contact details, independent of the McCanns and their friends, who were in PDL at the time, that may be possible if they were willing to provide their photographs. That's pretty much what I was thinking in terms of who might had a photographic record of the day. I did wonder if the authorities had any issues with the picture and timeline for it and whether they'd done exactly this to confirm or deny it. I'm guessing not from what I've read so far. @orvar wrote: That's pretty much what I was thinking in terms of who might had a photographic record of the day. I did wonder if the authorities had any issues with the picture and timeline for it and whether they'd done exactly this to confirm or deny it. I'm guessing not from what I've read so far. Well, if the Portuguese authorities didn't have reason to question the poolside photograph during their investigation - they sure are aware now. Hello, you don't know me but my name is Arfa Connem-Doyle, I'm researching the case of missing Madeleine McCann who disappared from a holiday apartment on the Algarve 11 years ago. I see from the Portuguese police files that you and your family were staying at the Ocean Club Praia da Luz during the same week as the child went missing. I'm wondering if you could assist my research by looking back at the photographs you took during your holiday and let me know precise detail of the weather conditions for each day - what time each photograph was taken, where it was taken, the positioning of the subject matter in relation to the camera, whether you used any digital enhancements available on your camera that might alter colour, focus, magnification, distance, contours, lighting etc. and anything else you might think helpful? Even better if you could scan copies and email over to me. I am a genuine truth seeker so don't be alarmed. I look forward to hearing from you. I wonder if Kevin Halligan and associates used this approach when intimidating witnesses or whether they adopted the doorstepping angle, financial reward or threats. Not something I would care to get involved with. Welcome orvar, 'why not simply contact other people who were there at the time and compare the photos they took?' I'm pretty sure Team McCann requested anyone who had photos to hand them over to their side rather than the Portuguese Police. Happy to be corrected. Happy to be corrected? No way sammyc - you are 100% correct, only the reality is a darn sight worse..
Madeleine's father Gerry has returned to Portugal to rejoin his wife and children after a brief trip to the UK. 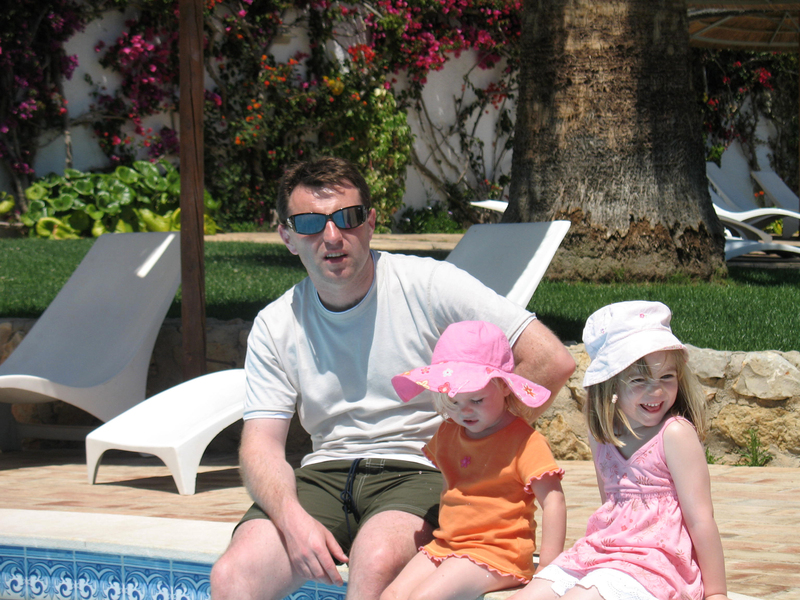 Mr McCann arrived back in Praia Da Luz on Tuesday morning after his one-day visit home. During his trip, Mr McCann visited the family's home village of Rothley, Leicestershire, where he saw the thousands of yellow ribbons, tributes, flowers and cuddly toys left by the public. He spoke to some of the people who had gathered to show their support and tied his own yellow ribbon, which has become a symbol of hope for Madeleine. 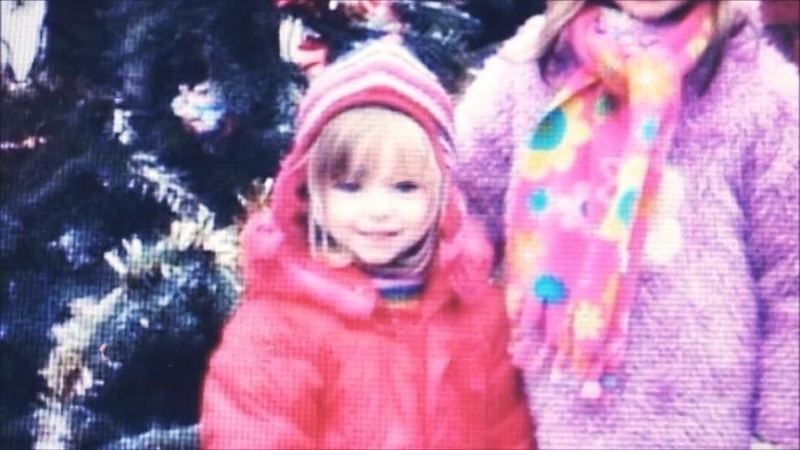 As well as meeting organisers of the campaign to find her, it is believed his visit was also intended to enable the family to stay in Portugal for the foreseeable future. Accompanied by aides carrying a suitcase and parcels, Mr McCann returned to be with his wife, Kate, who had remained at the family's Algarve holiday apartment. Police have teamed up with a number of computer companies to deliver the technological power behind the website and the collection of photographs. As well as uploading them, police say the public can take any photos they might think relevant to high street photography shop Jessops, which will convert traditional prints to digital images for free. Portuguese police have also confirmed they are investigating claims of a possible sighting of Madeleine in Morocco. 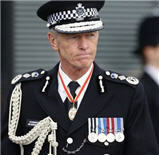 Chief inspector Olegario Sousa said the clue was "being verified" and that the Moroccan authorities had been contacted. At noon on Monday a one-minute silence was held in Portugal to show solidarity with Madeleine's family. The silence was initiated by an anonymous chain e-mail circulated around the country at the weekend and was observed by tourists and locals. 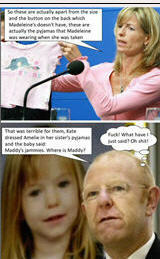 Madeleine's mother Kate McCann observed the silence privately at the family's holiday apartment. 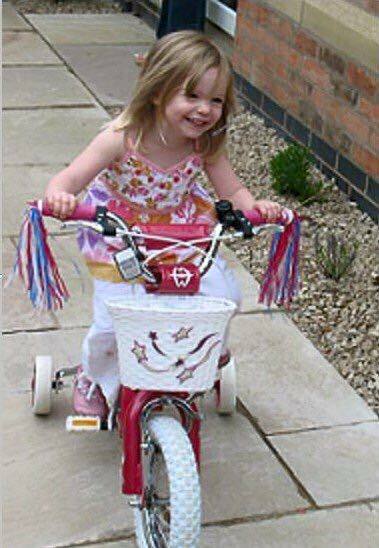 Senior detectives in Portimao, who are investigating Madeleine's disappearance, also stopped for one minute. The latest public display of support has come from the Liverpool football team, who were photographed on Monday with a banner asking for information of Madeleine's whereabouts. They were pictured as they left the UK for their Champions League final in Athens on Wednesday. Portuguese people have also been asked to pray for Madeleine on Tuesday night in a nationwide e-mail from Carmelite nuns. 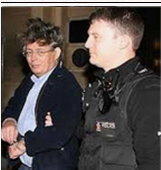 This is the Jim Gamble who became close friends with the McCanns - so convinced was he of their innocence. If anyone did submit their photographs to the CEOP, for sure they never reached Portugal !!! I've moved the thread initiated by new member orvar here should members wish to respond. I don't think the forum needs yet another thread dedicated to the 'Last Photograph'. The subject has been resolved as far as humanly possible by the available evidence. As I remember, they were collected by McCann supporter, Jim Gamble, former head of CEOP but I don't think that he or CEOP forwarded any of these to the investigation. This is a shadow analysis of so called McCann's last picture or pool photo. I started with Maddie's hair (rightmost "vertical" line marked by an arrow). All other lines are parallel to this one. Short lines striking match corresponding points creating shadow. I think this makes clear the shadow on Gerry's left tigh. I'd like to have the exact point in the pool where they took the picture, so that I can check Sun's direction. My calculations (which may fail), is that shadow is 2º from a vertical line, taking the line separating blue "azulejos" in pool's wall as vertical. Unfortunately Suncalc doesn't offer the exact angle expected at 13.29, one must guess from the picture. The person who took the pic seems to be reflected in Gerry left lenses. It looks like a woman in sunglasses wearing pink and watching through camera in her right eye (left eye on reflexion, once it's inverted). I think it might be Kate. P.S. - after analysing the picture in fotoforensics.com I couldn't find any indication it's been doctored. It would be almost impossible to add a person in this picture and leave it that perfect, so IMO that's time-wasting trying to demonstrate it was anyhow modified. The person who took the pic seems to be reflected in Gerry left lenses. (Very large picture - probably the biggest most detailed version on the internet). I also don't think the lines you drew make much sense either. The Poolside photograph has been the subject of some very detailed research and much discussion on the forum and there has been much speculation over whether or not the it had been photoshopped. 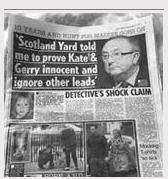 The Photograph was not presented to the investigation until Gerry returned to PDL after a visit to the UK. Hi, BlueBag, thanks for the comment. I have used the picture from this forum, which is same resolution, 3072 x 2304 Pixels. Resolution here is lower, but it doesn't matter as picture is accurate enough and that can be verified. The purpose of the lines is to mark sun's direction at the time, which depends on hour and date picture was taken. Right lower arrow points something one can guess it's a camera (hardest part to see, it will help if you watch from different angles). Left arrow points to cloth in pink. 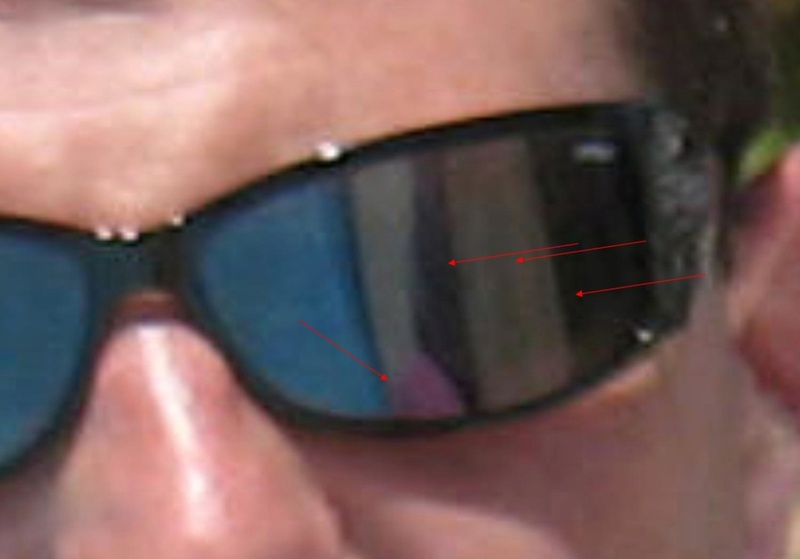 Upper arrows points to sunglasses. I agree, no evidence it was photoshopped. Like everything in McCann's it's strange they only present the picture on May 24th. The date and time can be right or wrong. That's why analysing shadows might help. The problem with dating this picture is that McCanns don't show the pictures in camera before and after this one. 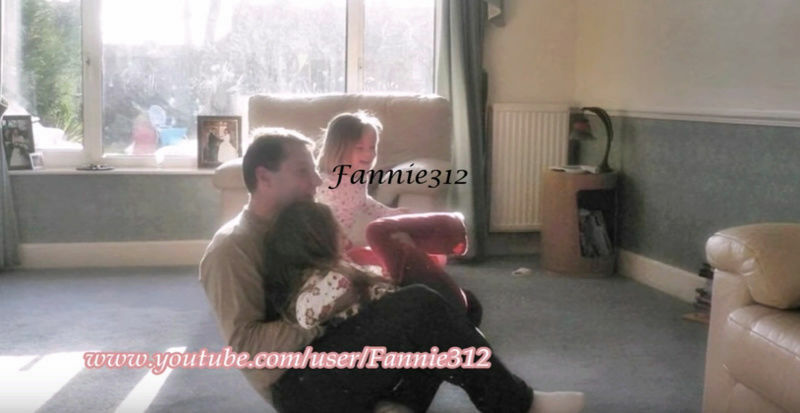 Any normal people would have had to present all pictures in camera to the police, but McCanns for some reason are the ones who decide when and which pictures to present. @PLL wrote: Hi, BlueBag, thanks for the comment. As stated above by SharonL, this photograph has been the subject of much discussion and analysis over the years - it's all on the forum if any one is interested in the conclusion reached by informed study and professional expertise. The subject is saturated - I don't think there's any need for yet another thread.